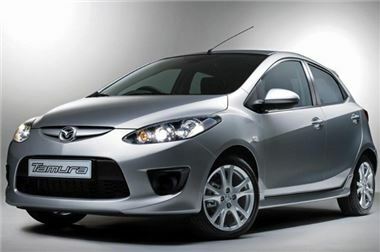 Mazda UK has welcomed the news that the Government will share out the remaining scrappage scheme budget based on retail sales in 2009. Consequently, the Japanese brand will get sufficient funding from the Government to satisfy customer needs for the balance of the scrappage scheme. However, with limited funds now available, Mazda UK’s managing director is urging customers to ‘buy now’ and take advantage of the scheme quickly to avoid disappointment. “This really is the only fair way the Government could have divided up the remaining budget,” commented Jeremy Thomson, Managing Director, Mazda Motors UK Ltd. “It is good news for Mazda as we achieved the biggest retail share in our history last year. Based on our 2009 retail share and our forecast for 2010, we will get sufficient funding from the Government to satisfy our customers’ needs for the balance of the scrappage scheme. “However, it is important that any customer considering purchasing a Mazda through scrappage takes advantage of the scheme sooner rather than later, as the final phase of the scheme is a smaller allocation of funds and customers may be disappointed if they wait too long to make a purchase,” added Thomson. “We have not yet announced our post-scrappage plans, but it is reasonable to assume that once the Government money runs out any offers from the majority of manufacturers will not be at the same level. We are advising customers to make the most of the offers on the table now to avoid disappointment. “We have ensured that vehicles are in stock for customers wanting to take advantage of the scrappage scheme and our dealers can call off all model lines for early delivery. While we have seen 75 percent of our scrappage sales going to Mazda2, we have also seen Mazda3 and Mazda6 selling well and even sportscars such as MX-5 and RX-8 have been purchased through the scheme,” concluded Thomson. Mazda UK has wholeheartedly embraced the Scrappage Scheme since April and currently supplements the Government’s £1,000 with additional payments of between £1,000 on Mazda2 and £5,000 on Mazda RX‑8, which means even more added value for owners changing their ‘old' model for a new Mazda. Including the £1,000 from the Government, Mazda is currently offering £2,000 on Mazda2, £3,000 on Mazda3, Mazda MX-5 and Mazda6, £4,000 on Mazda5 and Mazda CX-7 and £6,000 on Mazda RX-8 for any qualifying car traded-in under the scrappage scheme.